The following is a contribution from my blogging friend, DJ. When it comes to creative ways to save money, one of my favorite ones is to keep the money for myself instead of paying more in taxes than I have to. Most people know that retirement accounts such as a 401(k) or IRA are great tax-avoidance savings tools that we can use. But they’re certainly not the only ones! In particular, one that most people have access to but forget to use is an FSA or flexible spending account. A flexible spending account is a special type of account where the U.S. government allows you to put a certain portion of your money to use for dependent care and medical expenses. They do this because these are arguably two things that most middle-class families struggle with financially, and by providing some tax relief on them, this cuts us a break. The way an FSA works is simple. Every time you get paid, a pre-determined amount of money that you elect is taken out of your paycheck before taxes are deducted (similar to how your contributions to a 401(k) are taken out). That money then finds its way over to the service provider of your flexible spending account for safe keeping. Then, throughout the year as you make any eligible purchases in one of these two categories, you can use the money to effectively “pay yourself back” until all of the funds are used up. Why not just forget the FSA and set the money aside yourself? The fact that this money comes out free of taxes is a huge benefit! How big? Let’s take a look at how much money you actually end up saving with your flexible spending account. It wasn’t that long ago that my children were little and had to go to daycare while both my wife and I worked. We would always joke that daycare was the “second mortgage payment” that we’d write every month. Man, we really needed a break! It was about this time that we first noticed that my wife’s work was offering an FSA option. I did the math on it, and this is the lesson I learned that turned me into a believer. The maximum allowable contribution for dependent care expenses is $5,000. At a tax bracket of 25 percent, had we tried to pay this $5,000 ourselves out-of-pocket, we would have had to earn $5,000 / (1 – 0.25) = $6,667 in gross wages. BUT thanks to being allowed to use this money directly tax-free, the FSA saves us $6,667 – $5,000 = $1,667 for the year. That’s not a bad deal at all! In addition to using your flexible spending account for dependent care expenses, the other major category that you can elect to use is for medical expenses such as your doctor’s bills, surgeries, prescriptions, dental work, vision, etc. The process with the medical expenses works exactly the same as it does the daycare. As your bills are paid, the proof of receipt is sent in to the service provider and reimbursements are made. For medical expenses, the maximum cap is $2,600. Again, if we’re in the 25 percent tax bracket and use this full amount, the tax savings will work out to $867 for the year. Please keep in mind that your medical and dependent care contributions are separate. When first signing up to participate in this program, you have to elect how much you want to go in each one. For example, if you elect to use the dependent care one only, then you cannot submit receipts for medical expenses. And vice versa. One of the biggest drawbacks to using a flexible spending account is the fact that your elections are on a “use it or lose it” basis. For example: If you allocate the entire $5,000 for dependent care, but for whatever reason only spend $4,000 for the year, then unfortunately you could potentially lose the remaining $1,000. Therefore, it’s generally a good idea to conservatively estimate how much you really intend on spending without going too far over. I say “potentially” lose this money because your FSA does cut you some slack. I know from personal experience that there is typically a two and half month window between years where you can try to use up any unused funds from the previous year before they expire. If you’d like a really simple way to squeeze as much as $1,667 extra on daycare and $867 on medical expenses, then talk to your company HR and see if you have the option to sign-up. If you can’t, please keep in mind that you might also have the option to sign up for an HSA instead. We’ve been using our FSA for years, and – again – the taxable savings just keep adding up and allow us to spend the money on the things we really want to! DJ is the author of the book “Save BETTER!” and creator of 1,000 Ways to Save, a website that is dedicated to finding as many great ideas as possible that will help you spend less and save more! Please feel free to connect with him on Pinterest. 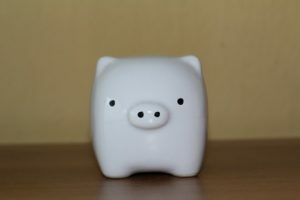 FSAs are indeed a great tool for saving money (esp on taxes)! Just don’t forget to use it or over-fund it to the point that you can’t reasonably use it. I’ve seen this happen to people and it’s very unfortunate. Best to take time at the start of the year to budget and plan out the expenses, then under-estimate a bit when setting up the withholdings. Definitely! It’s a little like playing “The Price is Right” where you don’t want to go over. I always suggest to my friends to aim low and track your expenses throughout the year. That way in later years you can adjust as needed. This is a huge benefit as you get to save money tax-free, and you no longer have to problem this as this is taken care of. I just hope that it is available across the US and employers and allows employees to save on money set aside for qualifying health and dependent care expenses.